Alor Island is a remote and undeveloped archipelago located in Flores, a part of East Nusa Tenggara province. As a group of islands in the Lesser Sunda including Bali and Lombok, the main island is still Alor. 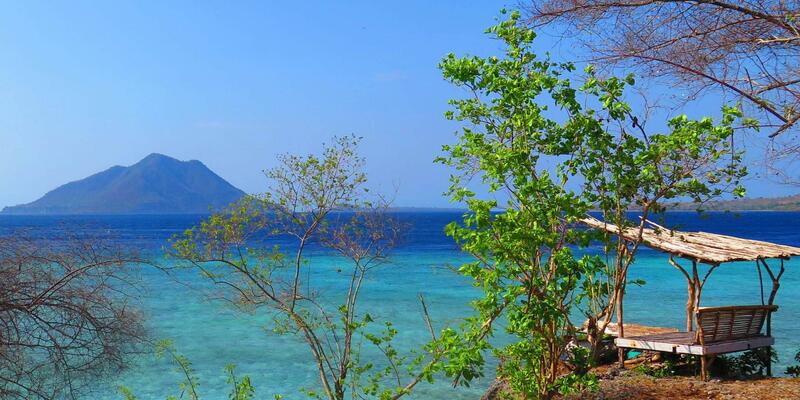 With Kalabahi as the one and only town, there are airport and harbor there if you want to go to Alor by air or sea. If you choose to go with airplane, first you must transit in Kupang to go through another 40 minutes to Kalabahi. But if you want to go with boat, they offer a Pelni ferry every once in two weeks from Kupang to Kalabahi for around 21 hours. It is in the middle of islands of Kepa and Pura, the most well-known dive site in the area. Stay aware of the strong flows, so better if you are stay close to the reef and be ready to hold on. This site has barracudas, moray eels, black tip sharks, large hammerhead sharks, and dog tooth tuna as the highlight. More recommended for the experienced divers based on the strong currents. The dive site is in the south of Alor and have high temperature differences between the surface water and the deep water. It is also a rare dive spot in the islands, so you can observe the attractive Thermoclines here. The underwater highlights including scorpion fish, marbled rays, sea serpents, even bamboo sharks and blue rings octopuses! The distance is only some hundred meters from the village of Apuri, well-known internationally for its highest concentration of anemone. If you are lucky, you can see the incredible thresher sharks and Mola-Mola. You must be careful to see the small nudibranchs, shrimps, and lobsters that hide on the corals. The currents are quite smooth, so the divers can dive and sightsee the creatures serenely. Currently the newest and the most comfortable hotel in Alor, consists of 3 floors. It has the most complete facilities such as AC, Wifi, TV, water heater, and including breakfast. The price range is between Rp 550.000,00 for standard rooms and Rp 850.000,00 for private rooms. It is a resort located in Pantar Island, with the number of guests are limited to 12 persons to get the hospitable services. It consists of 7 traditional beach bungalows, full board basis. The minimum stay is 4 nights with Rp 12.000.000,00 price for divers and Rp 6.000.000,00 price for non-divers.